This is what is being constructed at central square on land that has been cleared for some time but formerly the location of the western mail and echo. 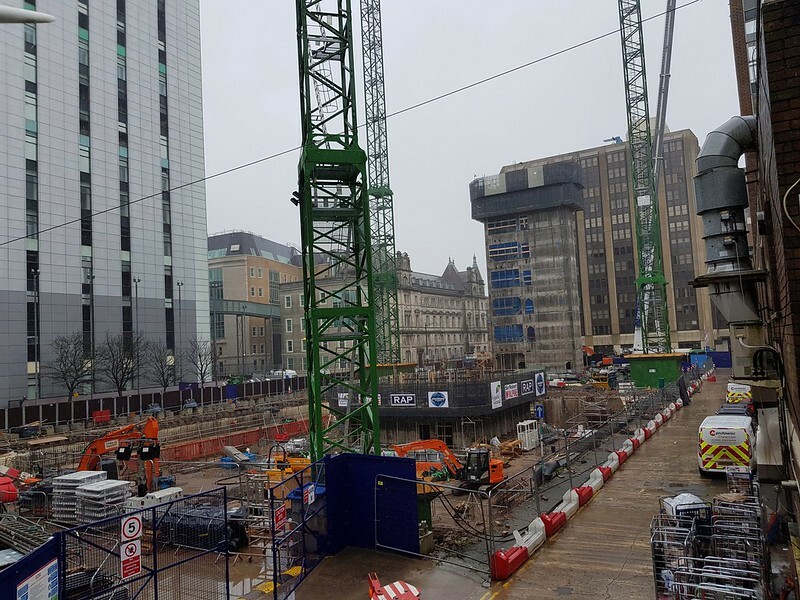 The 12 storey (266,000 sq ft - 55metre) building will be known as 6 Central Square. 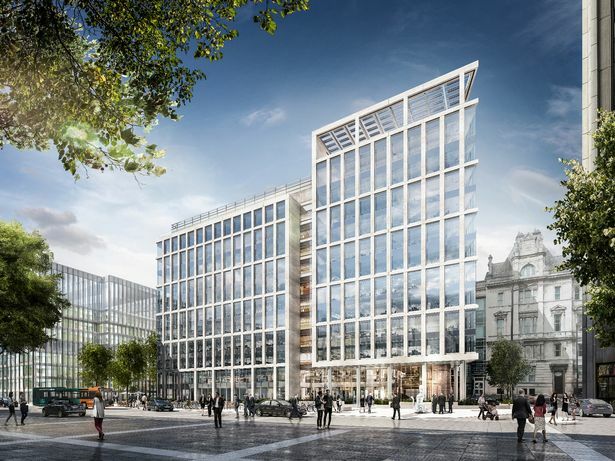 It will be built by construction firm Robert McAlpine. This weekend the 3rd and final tower crane is under construction. This building has two central cores with the first on already upto level 5/6 and the other will surely be appearing over the site hoarding next week. That open space is real is it? Frank wrote: That open space is real is it? Yes, St. David's House is being knocked down to create that open space. paul cardiffwalesmap wrote: This is what is being constructed at central square on land that has been cleared for some time but formerly the location of the western mail and echo. Not hanging around at all are they? They must have hired the guys who did the central core at Herbert Street. 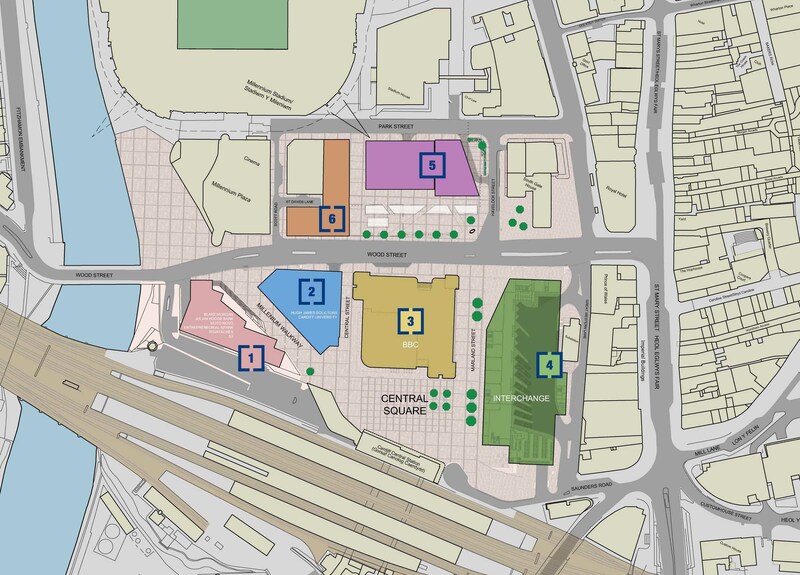 Yep, here's the current masterplan, the orange number 6 building won't come until later (they're not demolishing that part of St David's House just yet) but the open space in front of HMRC remains. I am surprised at how quick this core is getting and how tall this building will be. 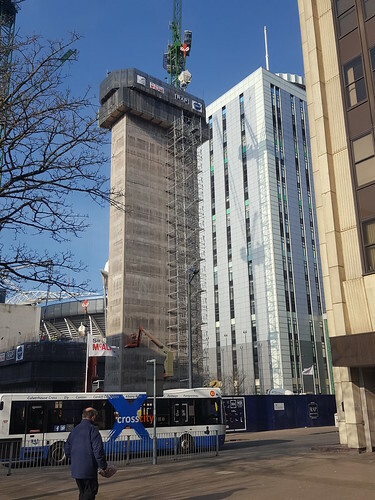 I was thinking that after the demolition of St Davids house the remaining piece of land would be quite small, but maybe enough for an observation tower? Would the views be good from here?